The Museum of the City of New York has a wonderful collection of photographs, maps and prints many of which are now available online. I thought I would see if there were any pictures which showed what Harlem might have been like when our Colbert family lived there. John Colbert arrived in the U.S in 1843 and was in Harlem by 1850 – he lived on East 119th Street, near Avenue A (now Pleasant Avenue). After his marriage he lived on 116th Street and Avenue A. 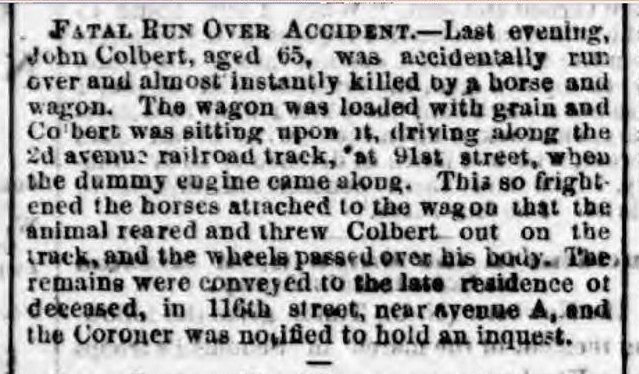 He died in 1865 and his widow, Mary Coleman Colbert, leased a lot on East 121st Street, between Avenue A and 1st Avenue. She had a one story framed house with a store, possibly the same house John had built on 116th Street. The Colberts had a horse and wagon and possibly a cow and other animals. They were milk dealers. 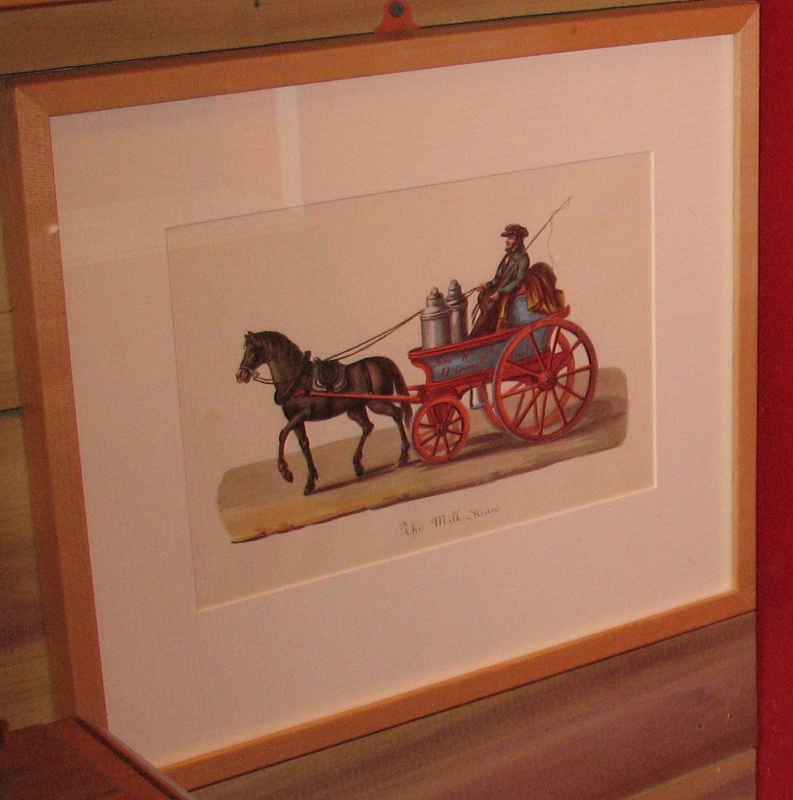 Did John Colbert’s horse and wagon look something like this? This picture is in the Museum of the City of New York, but not online. I took it in 2008 at the exhibit on the 200th Anniversary of the Archdiocese of New York. Here are some pictures I found online – you can see the animals wandering around. Harlem squatter settlements in 1858. 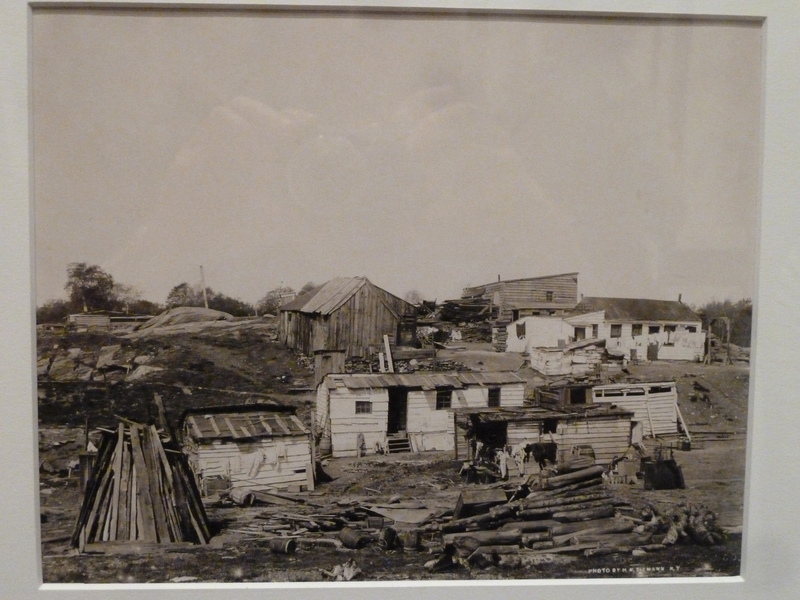 This is the south east corner of 116th Street and 4th Avenue in 1889. 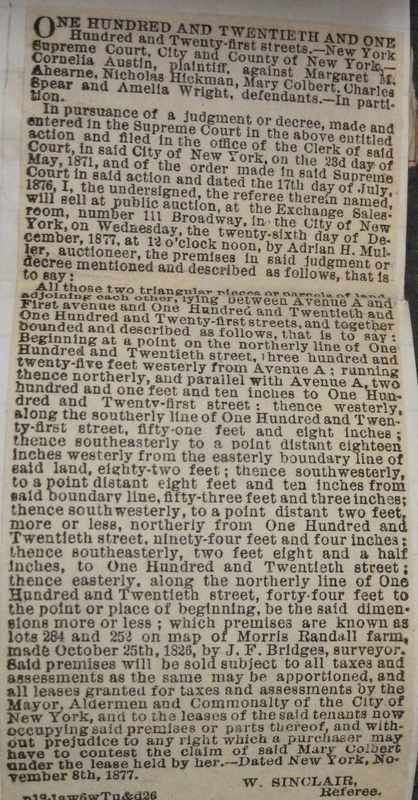 Our family lived at 116th Street and Avenue A (Pleasant Avenue), about 4 blocks east of here from about 1855 to 1865. This is the south west corner of 116th Street and 4th Avenue in 1895. 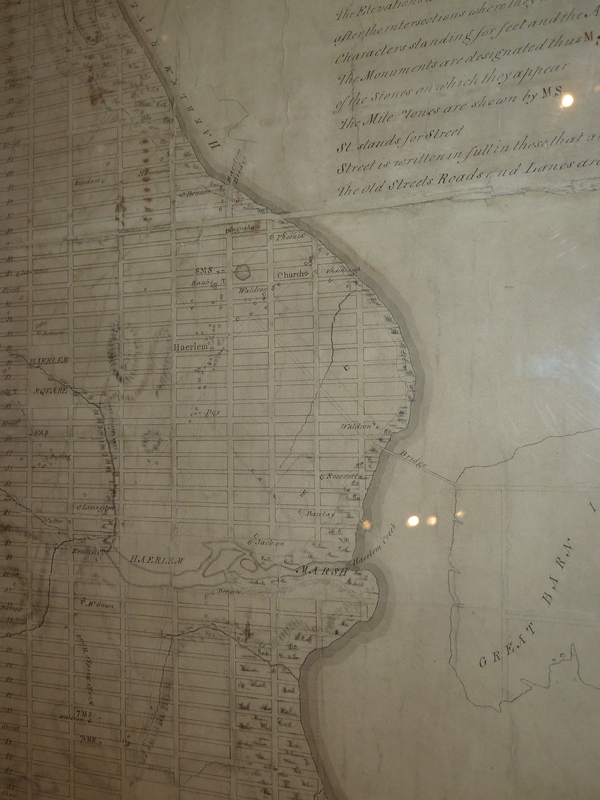 The Museum of the City of New York has a great exhibit called The Greatest Grid – The Master Plan of Manhattan 1811-2011. 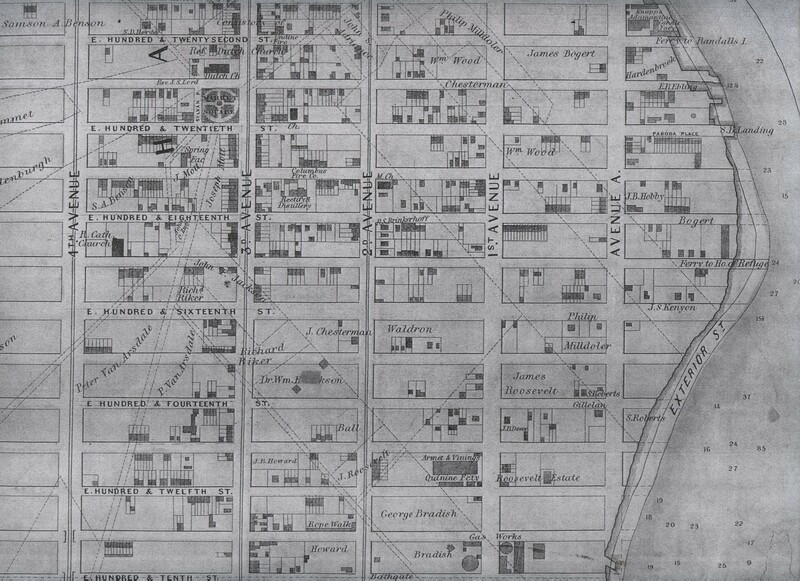 Map of Harlem - if you click on it you will be able to zoom in and see the old village of Harlem with housing lining the streets. Note the marshes and streams. 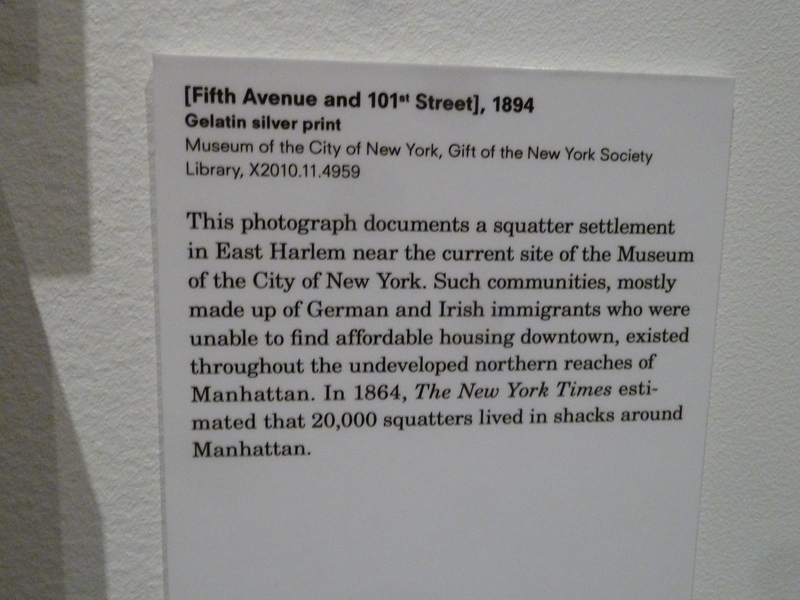 This describes the picture of the shanties at Fifth Avenue and 101st Street. The Colberts lived on 116th Street in the 1850s and 1860s. 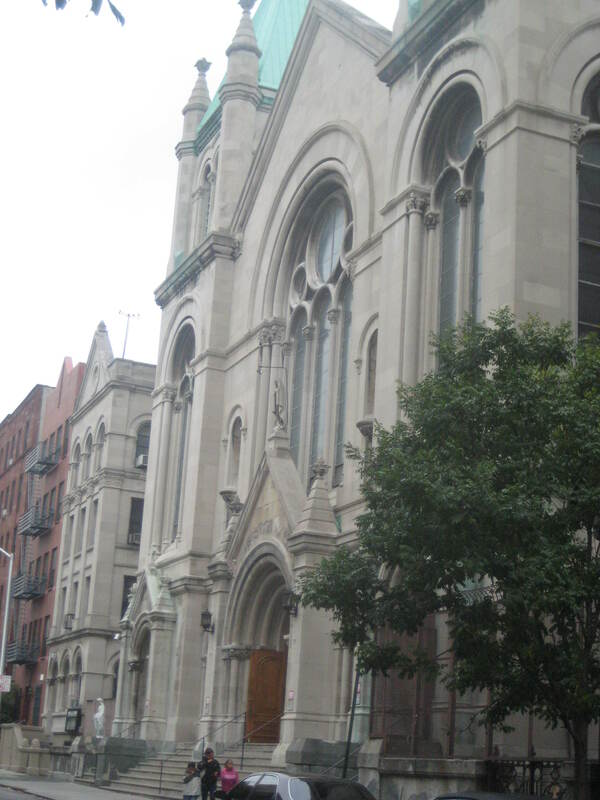 By 1865 they had moved their house to East 121st Street and had a respectable 15 year lease - $30.00 a year. I went to see the exhibit on January 7th – so did a lot of other people and it was crowded. It was one of those strange spring like days we’ve had this year. It was fascinating to see the old maps and pictures. My favorite part was the original, hand-drawn map of the proposed streets – very long with lots of detail. 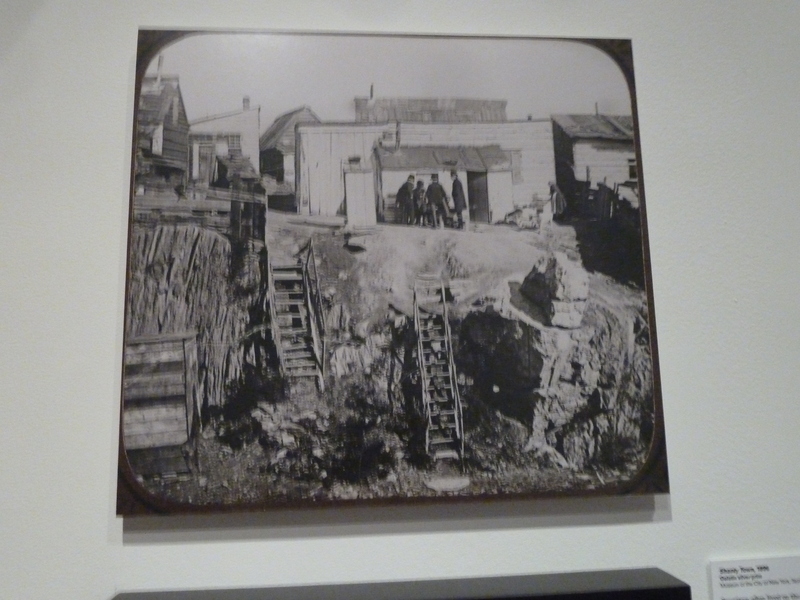 There were also pictures of New York when it still had hills and pictures of shantytowns. 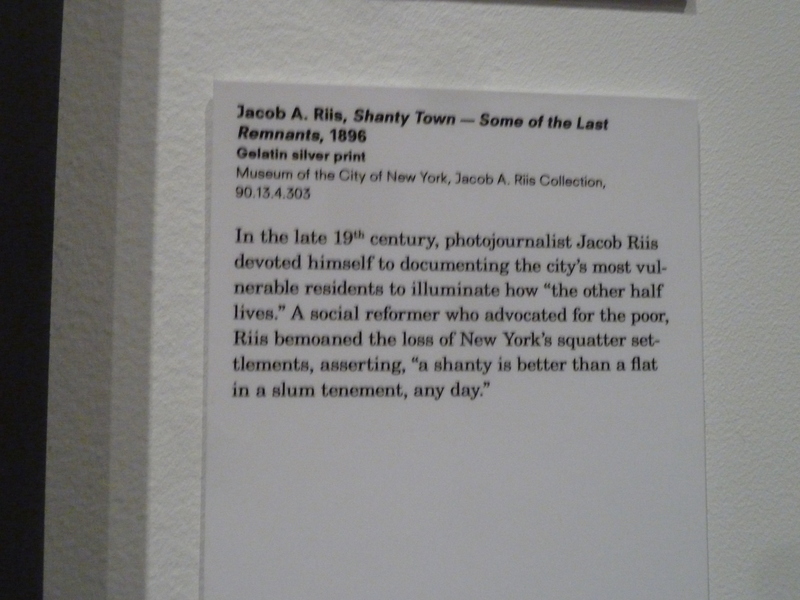 Jacob Reis believed the shanties were healthier than the tenements. The exhibit closes April 15th – if you get a chance, it’s worth a trip to see it. Mary moved her one-story house, which included a store, to East 121st Street not long after John died. 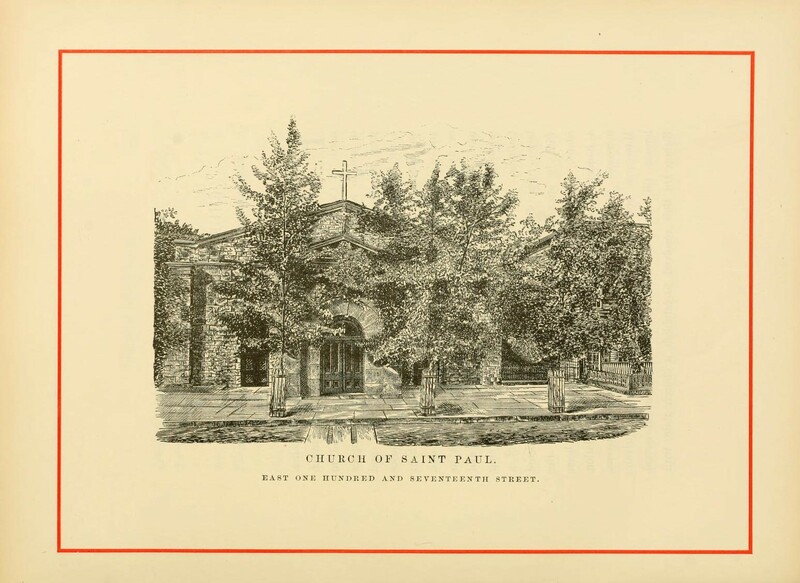 East 121st Street between Pleasant Avenue and First Avenue did not have many houses at the time and most of them were like Mary’s – one or two story framed buildings. They don’t appear on the maps of the time. The lots to the west of Mary were empty. Mary was in the dairy business and may have kept cows, or goats, or geese, like many Irish in Harlem. 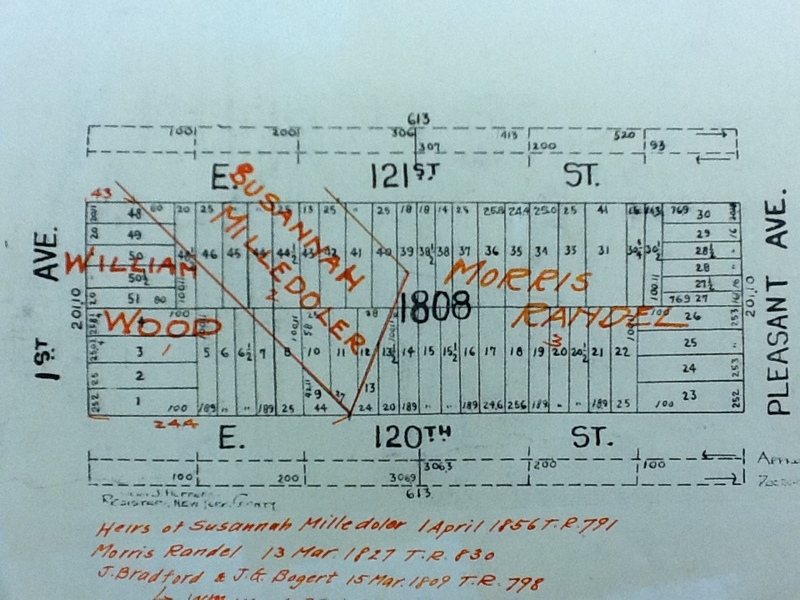 1867 Map - Mary's house was by the arrow - note the lines of the old farms. There were several other small houses on the block that are not on the map. When I started researching the family history I didn’t even know the name of my great great grandmother. So how did I manage to find a description of her house? It took 30 years and the internet, plus some good old-fashioned court house research. At first it seemed that Mary and John left few records and even fewer family stories. There was one story that was a little strange. The Colberts, it seems, had a farm in Harlem and it was taken from them by greedy people? the city? That wasn’t clear. My grandmother, or maybe it was my great grandmother, was going to look into getting it back, but nothing ever came of it. As I found more records, Mary and John and their children slowly came into focus. 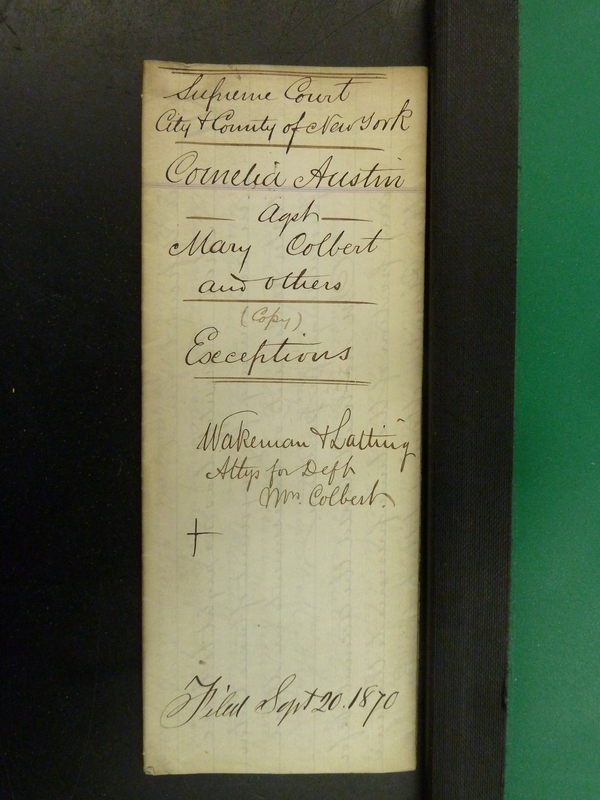 The Emigrant Savings Bank records revealed that Mary came from County Waterford. 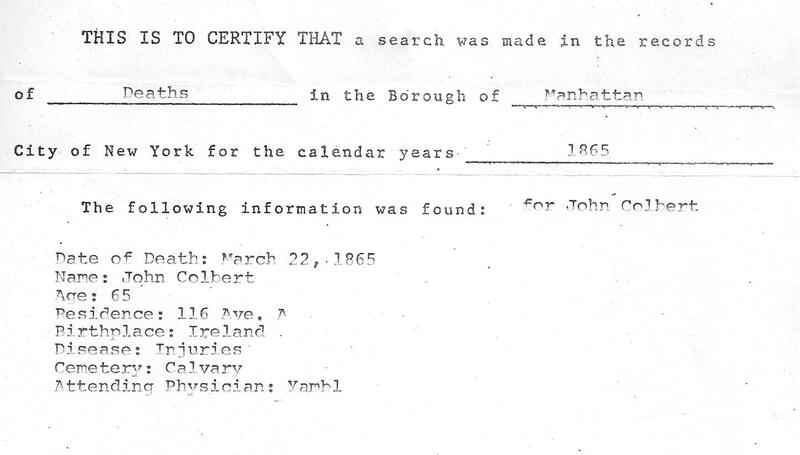 Cemetery records yielded clues about her husband and children (see Colbert Mystery Solved and Where’s John Colbert?). I learned that she had a brother named Lawrence Coleman who also lived on East 121st Street. The census records showed that the houses must have been small – only one or two families per house. I found that the family lived in Bronxville for a very short period in 1880. 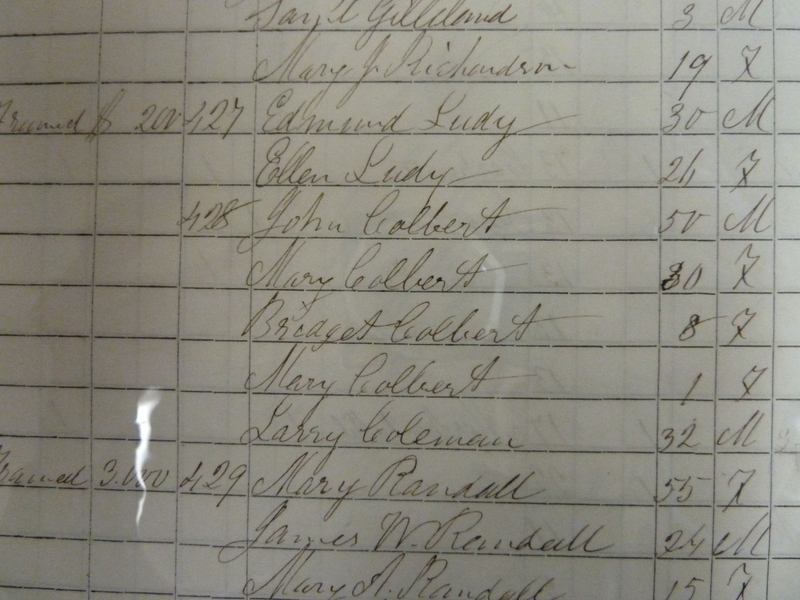 Emigrant Savings Bank, April 7, 1865, Note she used her maiden name. Avenue A is now Pleasant Avenue. Later I learned that the family moved to Manhattanville in 1890 when Mary’s daughter bought a house – more on that in a later post. Could I find any else? The New York Public Library has a great blog and their post on researching NYC Homes was the key to more information about Mary than I ever thought I would find. I decided to try the Real Estate Record first and found this description of Mary’s house. Who was William Austin and why did he buy Mary’s house? As it turned out, there was a lot more to this story. 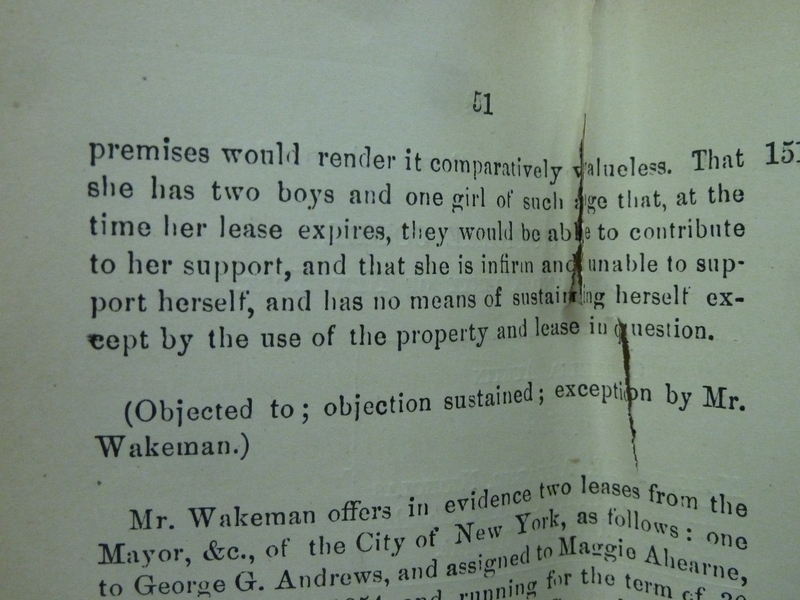 Austin v Ahearne 61 N.Y. 6.